Nature abhors a vacuum. For years, viburnums have been carefree shrubs. They flower consistently each year, some with fragrant blooms, and produce colorful berries in fall for beauty and for the birds. Viburnums have few pests or problems, until now. Over the last 10 years, a new bug has been in town. The viburnum leaf beetle. If you've noticed the leaves on your viburnums are skeletonized, check on the leaf underside. You'll often see a small, yellowish caterpillar feeding. While the damage from this viburnum leaf beetle caterpillar won't kill the plant, it does make it look like a mess until the plant leafs back out. Repeated defoliations can harm the plant over time. It all starts in summer and fall. The adult beetle creates cavities on the undersides of the branch tips and lays eggs. They cover the eggs with a mixture feces and bark. The eggs overwinter and hatch in mid-May. The larvae start feeding soon afterward. The simplest solution is to plant viburnum species the beetle doesn't like. Resistant species include the Korean spice, Doublefile, and the Japanese snowball viburnums. You'll find the most damage on the Arrowwood, American cranberry, and European cranberry viburnums. 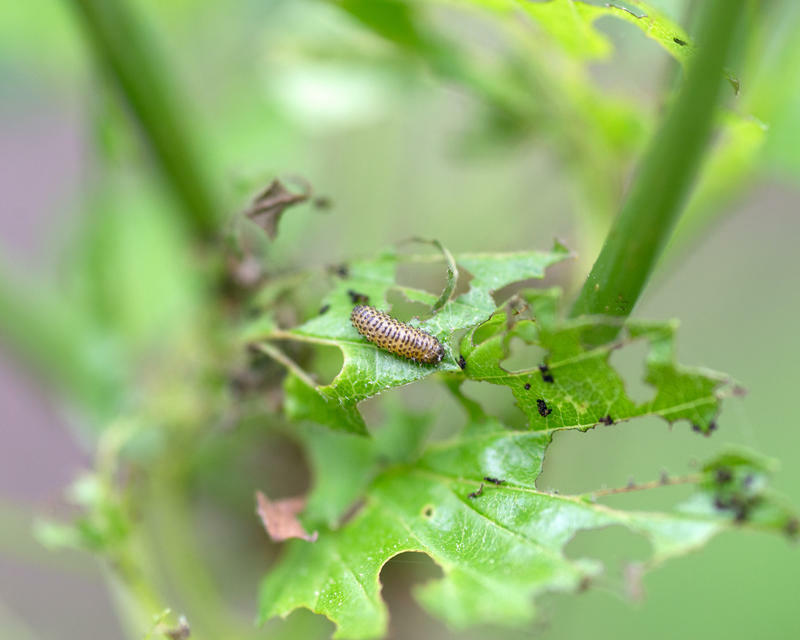 This time of year, if the caterpillars are still present, a single spray of insecticidal soap is effective in killing them. You can also spray horticultural oil in late winter, before leaves emerge, to kill the overwintering eggs. This winter, look for the raised bumps on the branch twigs, and prune those branch tips off and discard. This will prevent the eggs from hatching and starting the whole damage cycle. Next week on the Connecticut Garden Journal, I'll be talking about historic gardens. Until then, I'll be seeing you in the garden. Gardening is known for its folklore, especially when it comes to insect controls. Some old wives tales have some truth to them and others, not so much. I’m often asked about companion planting for insect control. 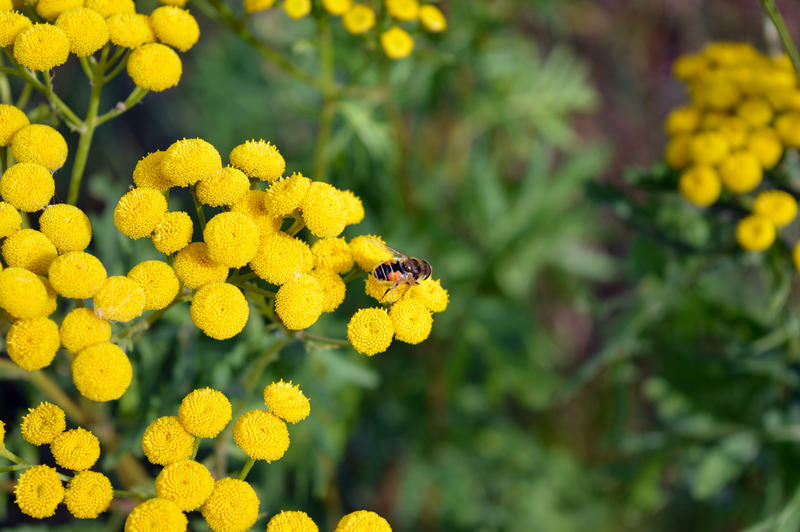 Although many say plants such as onions, marigolds, and rue can deter pests, scientifically, few of these folklore remedies have been proven. What vegetable grows like a cucumber, looks like a teeny watermelon, can be eaten raw and has a hint of lime flavoring? It's a cucuamelon. Cucamelon is not a cross between a cucumber and watermelon, but it sure looks like it. They are also called Mexican sour gherkins or mouse melons. They are so cute! 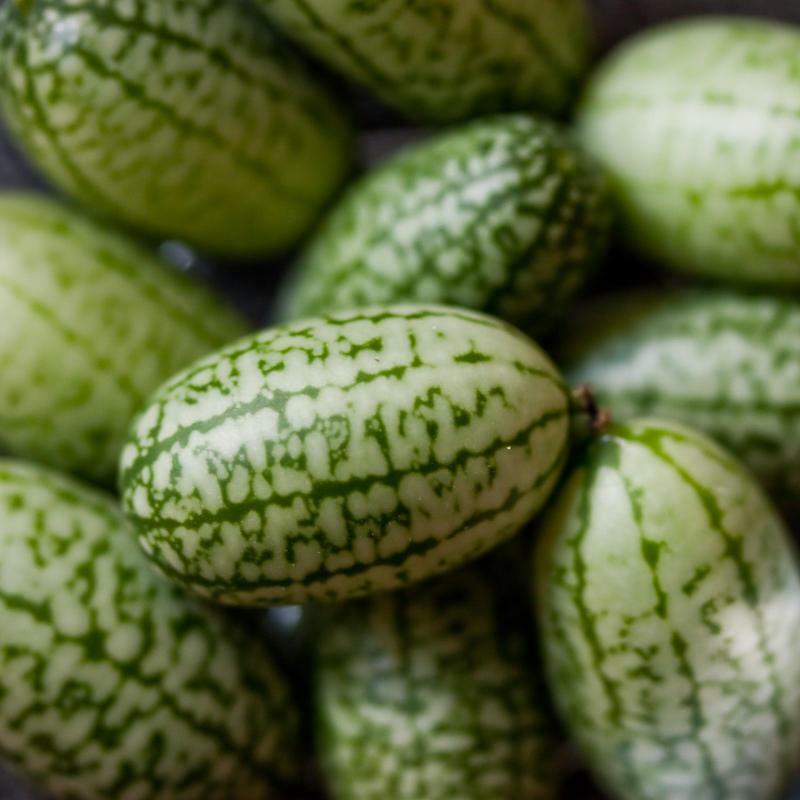 This Central American native vegetable vines like a cucumber, and produces an abundance of 1-inch long oblong, striped fruits that look like miniature watermelons. The taste is like a cucumber with a slight lime flavor. I'm always looking to push the envelope of what we can grow in your climate. I think I got fig growing down, so my latest adventure is fresh ginger. I love the flavor, and I love cooking with ginger root. 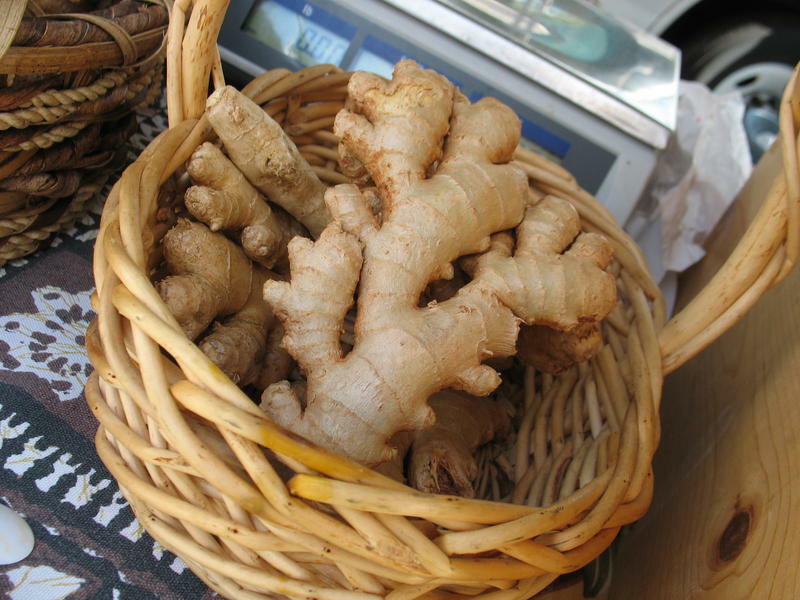 Ginger also has many medical qualities such as aiding digestion, improving circulation, and helping combat arthritis. 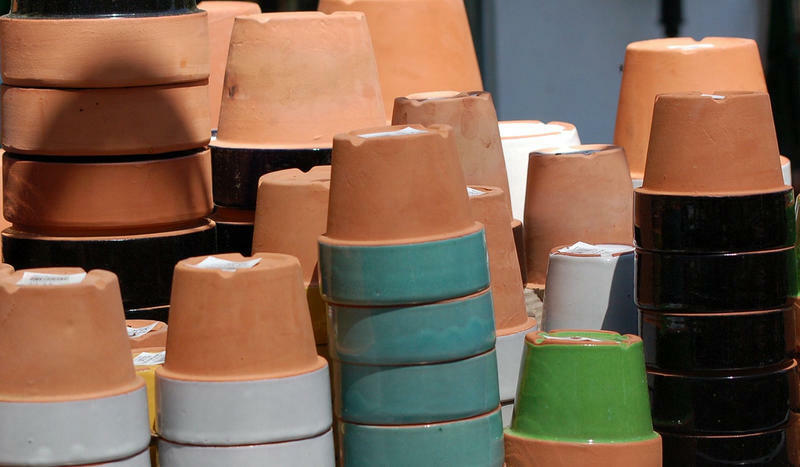 Connecticut Garden Journal: With So Many Options, Which Pots Should You Use? It used to be gardeners would have two choices in pots -- clay or plastic. Terracotta is the classic container with beautiful coloring. It's great for plants that like a well-drained soil like geraniums. Plastic pots are usually dark green and used for everything else.